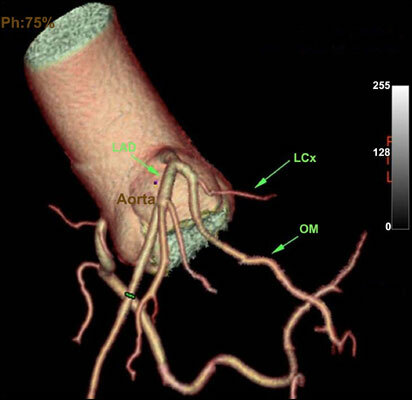 Background: Hypoplastic coronary artery disease is a rare congenital coronary artery anomaly. It is often detected incidentally, and its true incidence in the general population is not known. Discussion: Symptoms of HCAD are syncope, palpitations, dyspnea, and chest pain. Also, arrhythmia and myocardial infarction can be seen; these can cause sudden death, especially in athletes and young people. Diagnosis is often made at autopsy. Conclusion: Here, we present the case of a 39-year-old male with isolated hypoplasia of the left circumflex artery detected by coronary Computed Tomography (CT) angiography who complained of palpitation. Hypoplastic coronary artery, congenital anomalies, left circumflex artery, coronary computed tomography angiography, hypoplasia, myocardial infarction.